Yup, finally. We’ve been running on fumes for days, but today Clever Cycles opened. And it was good. We’ll be in catch-up mode for the next few days weeks months until the revolution. Please excuse our dust, real and virtual, and occasional crazed mien in the interim. 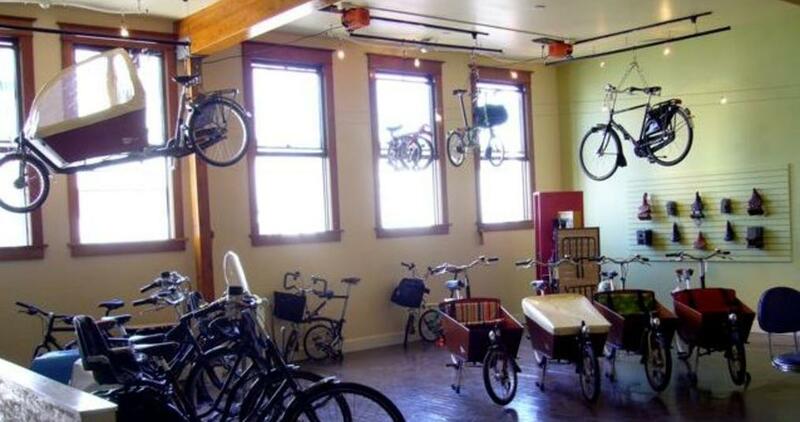 Clever Cycles serves families and businesses seeking to avoid dependence on cars with stylish, practical bicycles and accessories for everyday use. Dutch bakfietsen and city bikes, folding bikes, and our Stokemonkey electric assist for Xtracycles feature passenger and cargo capacity, plain-clothes comfort, all-weather readiness, and low maintenance. Jonathan the Phenomenon at Bikeportland.org has an excellent photo set up.